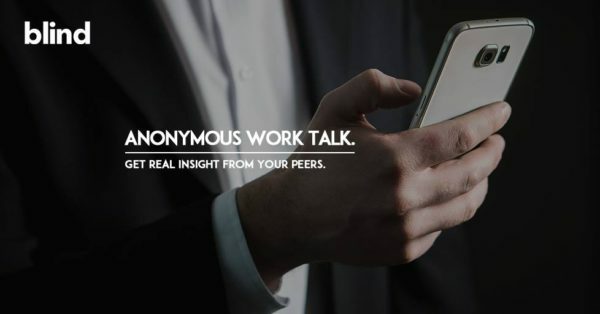 We recently wrote about an awesome new app called Blind, created to help victims of abuse, assault and harassment in the workplace anonymously report incidents and get connected to a community of others who have had similar experiences. Blind is on a mission to flatten the hierarchy and bring transparency to the workplace. There is no other app out there dedicated to the specific mission they are on, and in the spirit of #MeToo, they are ahead of the curve. The topics found in the community section cover a wide variety including women in tech, careers, crypto, compensation, engineering, startups, design, finance, data science, politics, diversity, relationships, and more. The anonymous feature of the app is easily the most important, given what we are seeing among people (most notably women) who have been brave enough to come forward about person experiences of abuse or harassment. One of the most glaring problems with workplace harassment was the fear of backlash, losing a job or having to put up with management and leadership that would make the work environment even more toxic and oppressive for those who do dare to speak up, as seen in the case of former Uber engineer Susan j. Fowler who wrote a tell-all about her experience in 2017. Data shows there is a much higher level of people being punished or ignored for reporting, than there are people being punished for perpetuating the abuse in the first place. The fact that we live in a culture that still protects abusers and punishes and blames victims, as we’ve seen in a number of cases both through the justice system as well as through popular discourse, means we need desperate change. Gender equality is certainly at the root of this, and if we ever hope to fully reach parity in the workplace, we need to call “time’s up” on the toxicity that has forced victims into silence for too long. 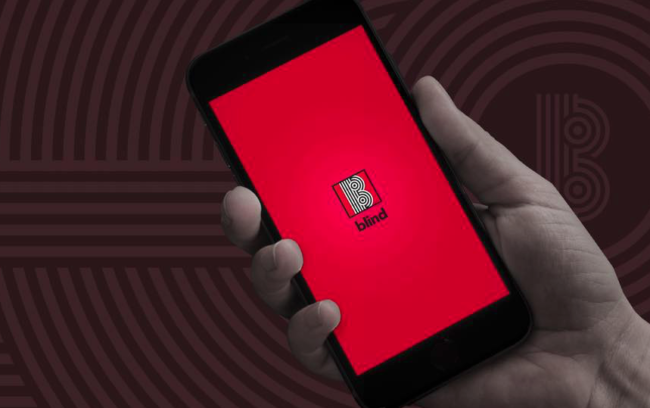 Because of this glaring need that has become more obvious over the past few months, Blind has launched a #MeToo section on their app specifically dedicated to allow women in tech to anonymously submit their stories. This anonymous platform will allow tech workers to tell their stories of sexual harassment, experiences of sexism, gender gap, wage disparity, in the workplace. Though anyone can contribute their story, the #MeToo channel will focus mostly on elevating the voices of women in tech and other voices which have been marginalized. 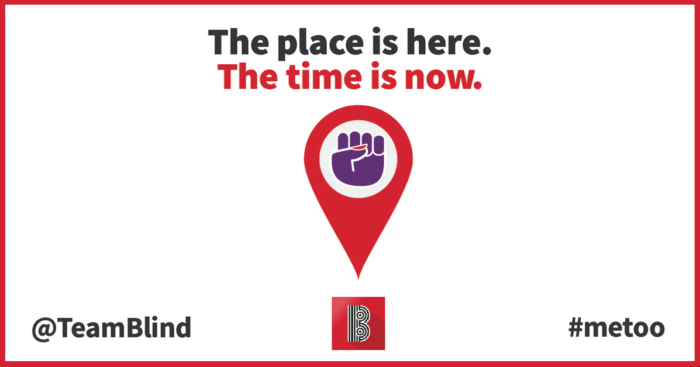 “By providing a platform to elevate the voices of the #MeToo movement, we are continuing build on our vision to empower every employee, regardless of title or position,” said Wonshin Lee, Head of US Operations at Blind, in a press release. The focus on women in tech is key here, as this has been an ongoing topic for the past few years with both high-profile cases as well as studies showing the widespread problem. From entry-level positions all the way up to leadership and founder level, the harassment is well-known by women. According to data from 2017, 78% of female tech founders have experienced sexual harassment themselves or know someone who has. Though the app focuses mostly on tech workers, employees from any industry can join and contribute to the publicly viewable topics section of Blind. To do so, users will first download the mobile app for iOS or Android, and create a profile using either a work email address or through their LinkedIn account. Anonymous #MeToo stories will be publicly viewable on the web at ​https://teamblind.com/articles/metoo​. Although work email and anonymity don’t seem to go together, Blind’s patented infrastructure is set up so that all user account/activity information is completely disconnected from the user’s email address or LinkedIn profile. This information is only used to ensure a credible community of verified professionals, and is encrypted and locked away forever after the sign-up process. 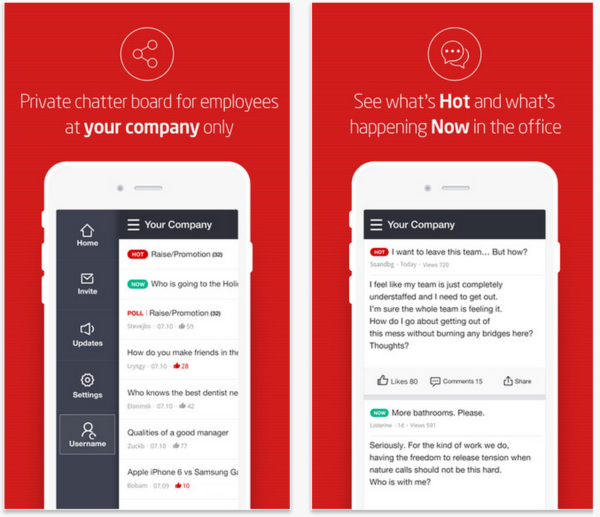 TechCrunch says “Few apps have had as much of an impact on workplace communications as Blind”, showing the power of what they have created and the need for this kind of discussion on a wider level. “Blind’s #MeToo channel is a powerful platform for change. We know that companies can’t lead innovation when they’re violating basic rights. Going to work, whether you’re the engineer or cleaning person, must be safe. It’s time to modernize tech,” said Somer Loen Creative Director of the Abortion Access Hackathon, and user of the Blind app. Society is waking up to the harassment and abuse problem like no other time in history, and it is due to the courage and determination of people speaking out, encouraging others to do so. While many people may have the platform or means to speak, others still do not, and Blind is ensuring even their voices are heard and their privacy is protected. The tech world may be known for its misogynistic “bro” culture, but technology may very well be the missing piece of the puzzle to completely changing the current equilibrium on the greater cultural quest for gender equality. Those already active on the app include over 35,000 employees from Microsoft, 15,000 from Amazon, 7,000 from Google, 5,000 from Uber, 5,000 from Facebook, 4,000 from LinkedIn, and 3,500 from Apple. To be part of the conversation, share your story, or read experiences from other who have already posted, download the Blind app on iOS or Android today.